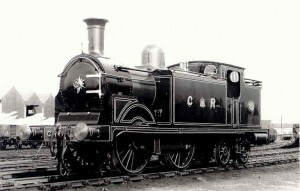 Built by the Caledonian Railway at St Rollox Works, Glasgow, in 1907 No 419 was designed by J.F. Mcintosh for branch line work, fast suburban and banking duties. Caledonian Railway 419 is the flagship of the Scottish Railway Preservation Society. It appears on the society’s letter heading and has represented the SRPS at numerous events on both sides of the border. The locomotive was one of the Caledonian Railway 439 class, which totalled 92 engines built between 1900 and 1925, almost all of them at St Rollox works in Glasgow. They saw duty all over the Caledonian system, on suburban passenger trains, branch line work, train banking duties and shunting. The 439 class was a direct development of the earlier 0-4-4T locos of the 19 and 92 classes which could trace their parentage back to an 1884 design by the legendary Dugald Drummond. No 419’s earliest service is not chronicled but by World War One it was shedded at Polmadie to work suburban trains out of Glasgow Central, a duty which it was to resume in 1952! However, still in Caledonian days (i.e. prior to 1923) it went south to Lockerbie where contrasting duties would have been light passenger work on the branch to Dumfries and banking turns on heavy trains from Beattock to Beattock summit. Following the formation of the London Midland and Scottish Railway in 1923, the locomotive became No 15189 and its Caledonian Railway blue livery gave way to a more sombre black. Its home depot became Ardrossan and later Edinburgh Dalry Road. The LMS gave it a new boiler and fitted vacuum brakes to supplement the Westinghouse equipment favoured by the Caledonian. The 1948 nationalisation of the railways brought the locomotive a change of number to 55189 and the legend British Railways on the tank sides. It was out-shopped in this style on July 6 1949. Line closures in the Edinburgh suburbs, for example the Barnton branch in 1951 caused 55189 to be transferred back to Polmadie, from which depot it performed zealously on empty stock duties between Glasgow Central and Larkfield carriage sidings from 1952-59, plus the occasional dash round the Cathcart Circle or sortie to darkest Lanarkshire. During this time it acquired a less than flattering stovepipe chimney, which the SRPS later replaced with a Caledonian example from a sister engine destined for the scrapheap. No 419’s working life ended on humdrum pilot duties at Carstairs, where it was shedded until withdrawn from service in December 1962, along with 200 other steam engines in Scotland; surely the largest number to go at one time. As the last example of a Caledonian Railway 0-4-4T engine, 55189 held great appeal for the then recently-formed Scottish Railway Preservation Society. The asking price of £750 insignificant as it may seem today, proved difficult to raise and only a cash injection by Worcestershire farmer Mr W. E. C. Watkinson secured the Caley tank for posterity. It changed hands in March 1964. The generosity of Mr Watkinson over the purchase of 55189 is perhaps his greatest epitaph within the SRPS, following his death late in 1981. He had also provided Ł500 to enable the locomotive to be externally restored to its Caledonian blue livery. This was carried out during the summer of 1964 at the now closed Cowlairs Works in Glasgow, former stronghold of the Caledonian’s arch rival, the North British Railway. In April 1965 it became the first inhabitant of the society’s Falkirk shed. 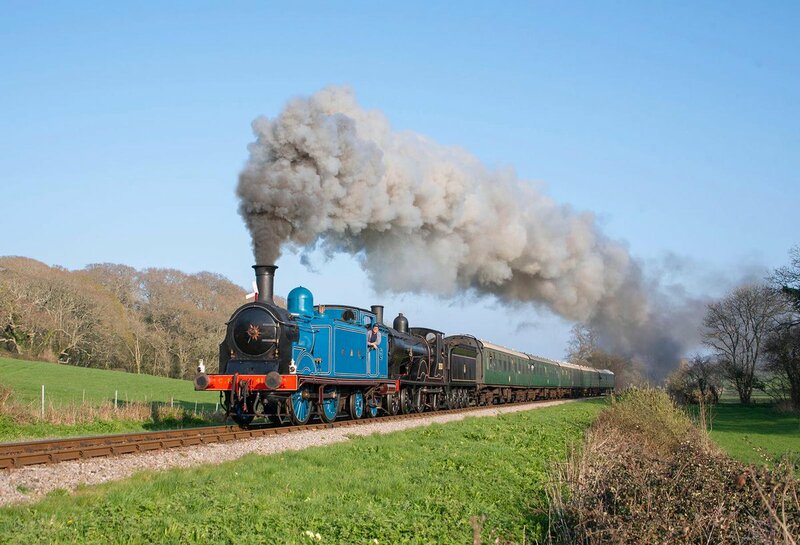 SRPS members returned 419 to full working order and its first public steaming was in the autumn of 1971. 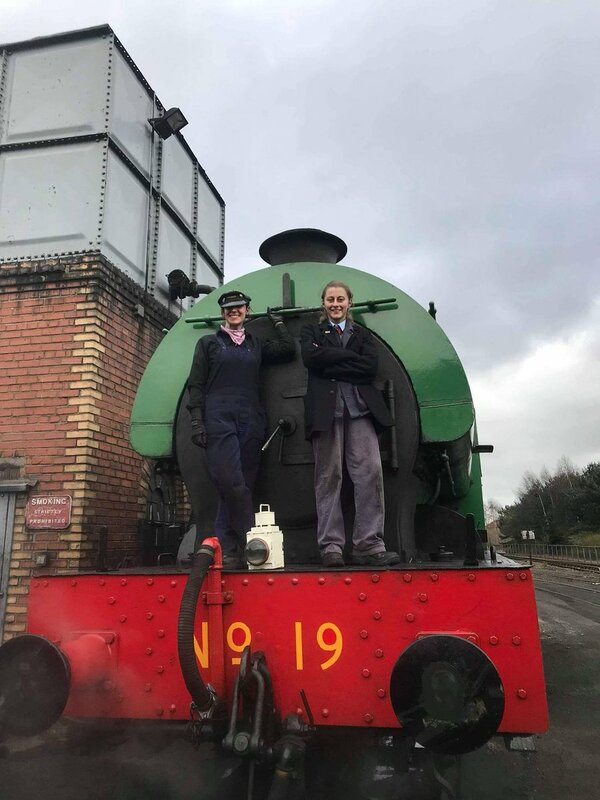 Since then it has carried the SRPS flag at open days, celebrations and railway events all over Britain, including the Stockton and Darlington 150th anniversary cavalcade in 1975. Over the winter of 1981/82, the locomotive was re-tubed and new side tanks were fitted. The opportunity was taken to overhaul various components, including the Westinghouse brake system. In April 1982 it went by road from the SRPS depot in Falkirk to the Bluebell Railway in Sussex, as part of the line’s centenary celebrations. It arrived at Bo’ness in March 1983. The locomotive came out of service during the later part of the 2009 running season due to its boiler certificate expiry. The Engine was painted in BR black as BR 55189 for a series of Photo charters run before withdrawal from service. 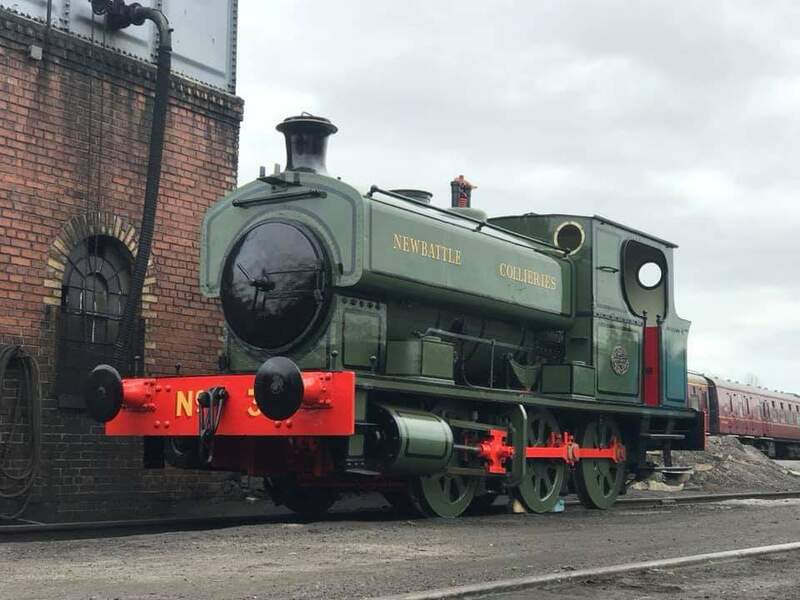 The engine was dismantled with the boiler sent away to Ian Riley’s workshops to have all the crown stays, foundation ring, and significant sections of the outer firebox replaced. The project suffered a setback after the first batch of axle boxes for the driving wheels were stolen. Apart from the driving axle boxes needing to be replaced the engine was found to be in sound mechanical condition. A new smoke box was manufactured and fitted. All the boiler backhead fittings and control valves have been renewed and new Gauge frames fitted. The locomotive was completed in October 2018 and turned out in the very attractive “Perth” blue. The locomotive is now in traffic and is performing very well. You can help by donating to the restoration fund on-line. A gallery of photographs is available here.